Faucet not Included. Metal exterior hardware with brushed chrome finish. Plenty of storage space. Plenty of counter space. 24 in. Matching Mirrors Included. Undermount Square Porcelain Sinks. Pre-drilled for a single hole faucet. Optional metal exterior hardware with antique bronze finish. 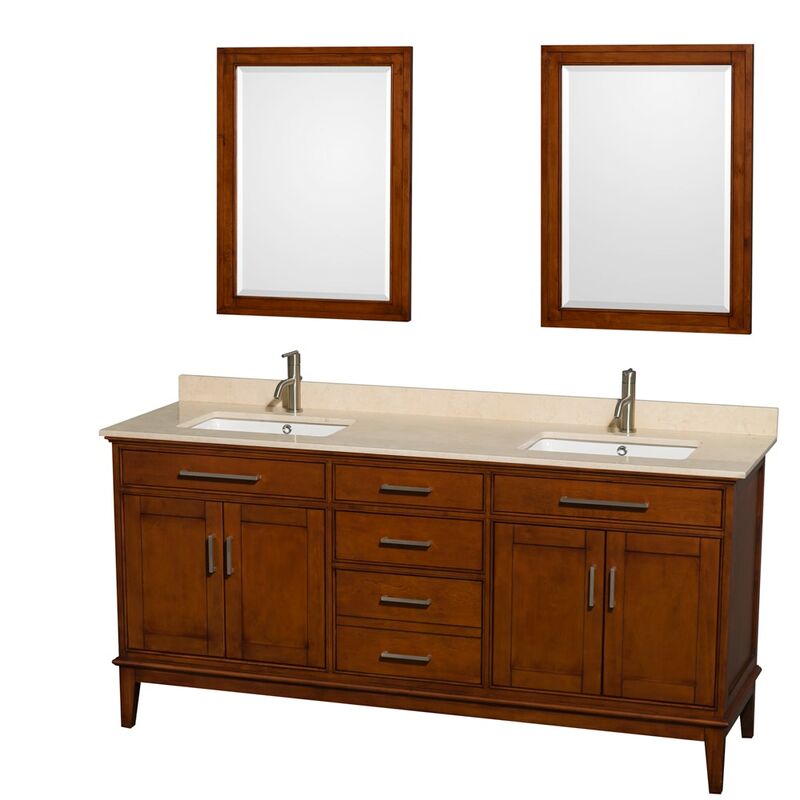 Dimensions - Vanity: 72" x 22" x 35"; Mirror: 24" x 1.25" x 31.75"